Directions | Southern Marches Area Quaker Meeting. 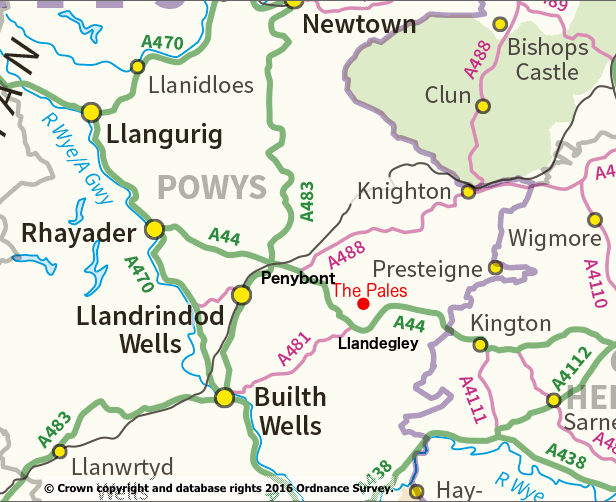 The Pales is approximately one mile off the A44, along single track roads, signposted with brown signs. Approaching from the West (Kington) on the A44 the turning to the Pales is on your right, shortly after passing Llandegley Church on your left. Approaching from the East (Rhayader)on the A44 the turning is on your left, ten and a half miles after leaving Penybont. 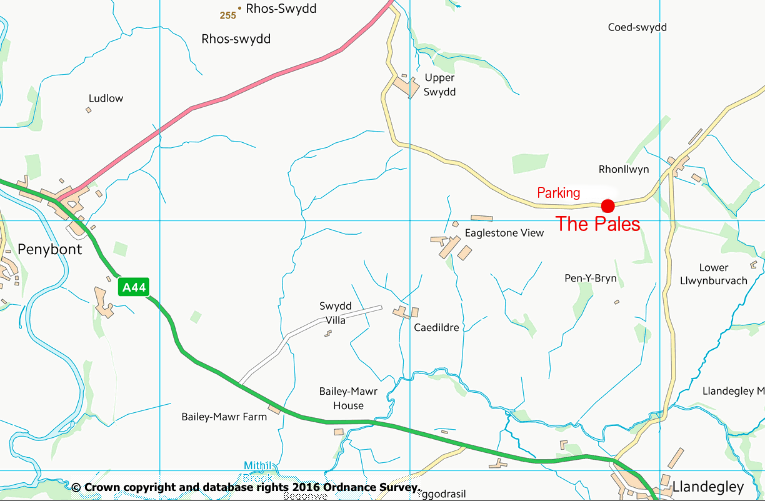 Approaching from the North (Knighton) on the A488 there is a signposted turning on your left, approximately two miles after Llanfihangel Rhydithon.